With this amazing line-up of speakers, Elevate 2017 promises to be an exceptional day! Josie Pagani took over the Director role at Council for International Development (CID) in June 2016. 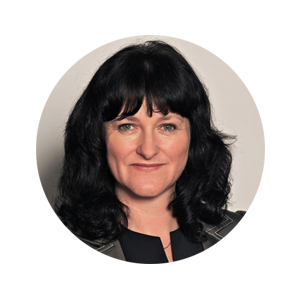 She is a regular media commentator on current affairs on TVNZ’s Q&A politics programme, Newstalk ZB, Radio Live and Radio New Zealand, and has been involved in progressive policy think tanks in the UK. Josie has worked as a political adviser to governments, Prime Ministers and ministers. She has high-level experience in the aid and development sector, including at the OECD DAC in Paris, and as the first communications manager at NZAID. 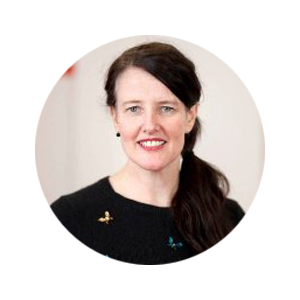 After returning to Wellington from Paris in 2007, Josie managed a public affairs consultancy with a number of clients both in New Zealand and abroad. 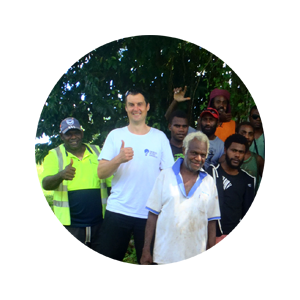 Iva Koroisamanunu is the WASH Project Manager for Live & Learn Environmental Education, Vanuatu. 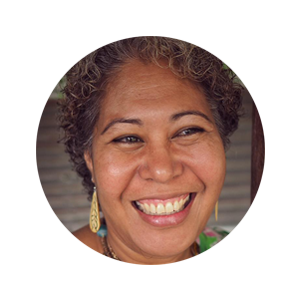 She is currently managing the Western Pacific Sanitation Marketing & Innovation Program (WPSMIP), a DFAT CSO WASH funded project implemented in Fiji, PNG, Solomon Island and Vanuatu. 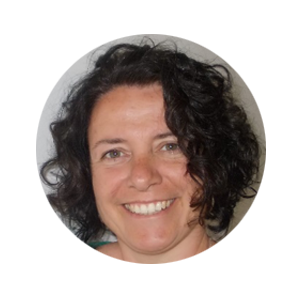 Iva started in this role in August 2016 but has been working in the WASH Sector for the last 10 years. Matt’s involvement with EWB started at the 2015 Conference where he presented on ECT - Emergency Compost Toilets. As the founder of ECT, Matt spends a lot of time talking about toilets and is often referred to as “the Pee and Poo Man”! Matt has a background in social science and community development as well as being a qualified builder. 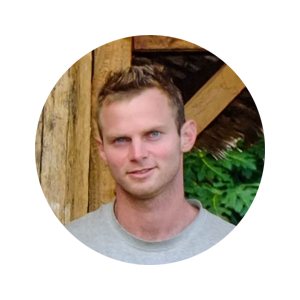 Previously, Matt has worked with SurfAid International in Indonesia on shelter reconstruction and appropriate technology programs. Lionel Taito-Matamua is a New Zealand born Samoan from Wellington. At 25 years of age, he is an aspiring social entrepreneur and aims to create the best future for him and his daughter which she can be proud of. Lionel investigates the use of 3D printing as an alternative method to tackling the global plastic pollution problem - an approach that increases digital literacy skills and has benefits for the community. Despite graduating from Victoria University of Wellington's School of Design majoring in Industrial design, Lionel applies his craft in the education space. 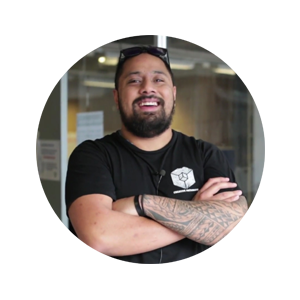 As the founder of Creative Pathways, he aims to try and increase numbers of Pacific, Maori, and Female participation in the fields of STEMMD (D for Design). 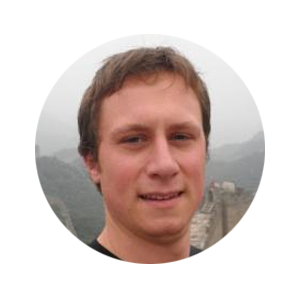 Andrew Drain is a lecturer and PhD candidate in product design engineering at the School of Engineering & Advanced Technology, Massey University. Mr Drain’s experience includes work as a development engineer at Fisher & Paykel Healthcare as well as work as a design educator in New Zealand, Australia and Cambodia. His current research focuses on enhancing participatory design techniques for use with rural communities in Cambodia. This research involves the design of assistive farming technologies with people with disabilities and aims to develop a more effective way of collaborating with communities with minimal creative confidence. Paula is a life-long supporter of campaigns for social, political and economic justice. Her recent professional roles have included working for ActionAid UK, an organisation that focuses on a holistic approach to making change happen and she has undertaken field work in Vanuatu after the devastation of Cyclone Pam. She has always wholeheartedly supported justice movements and for five years Paula was Vice-Chair of Republic UK, an organisation aiming to promote democratic ideals. 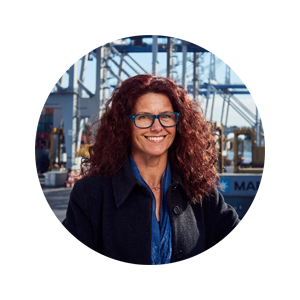 She sees climate change as the biggest justice issue of our times and climate change is a key campaign focus of Oxfam New Zealand where Paula is the Director of Advocacy and Campaigns. Hana is a recent graduate from the University of Otago where she completed an LLB and MA(Geography). Hana’s Masters’ studies took her to Sierra Leone where she worked with groups of women farming in urban spaces to better understand their daily experiences and challenges. Hana is currently a lecturer in the College of Engineering, Construction and Living Sciences at Otago Polytechnic where she folds her development background into an engineering context and teaches engineering ethics, community consultation practice, engineering communication, basic law, and a little bit of math. Sam Lucas is a Mechatronics Engineer turned Social Entrepreneur. Starting out with just a few volunteers and a good idea, Sam founded Onja, a social enterprise aiming to teach students to code their way out of poverty. This took Sam to Madagascar - identified as the place where Onja would be most impactful. He spent a year living in a rural village, and has formed a small team that believes they have a role to play in revealing Africa’s greatest, but most overlooked resource: it’s people. 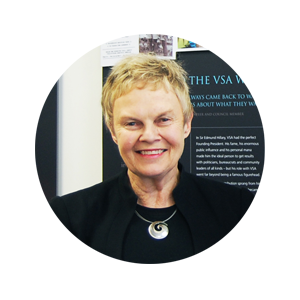 Mary Curnow has worked with VSA (Volunteer Service Abroad), NZ’s largest volunteering agency working in international development, since 2016. She has worked in the social change sector both in NZ and the UK for the last 20 years as a volunteer, manager and trustee. Mary is passionate about the value of volunteering and its role in developing sustainable change across the world. Gill Greer’s first experience as a volunteer was as an 18 year old Auckland University student. Today, she heads VSA and has chaired the global Volunteer Groups Alliance to persuade the UN to recognise the importance of volunteering in the Sustainable Development Goals – the new global Agenda. This journey has included teaching and mentoring, a period as Assistant Vice Chancellor at Victoria University, and five years as Director General of the International Planned Parenthood Federation, supported by volunteers across 170 countries. In 2012 she was made a Commander of the British Empire, in 2011 she was named a Member of the New Zealand Order of Merit, and in 2015 she was a finalist in the Women of Influence awards. 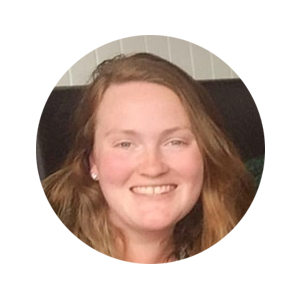 Janette has been described as the energiser bunny with the attention span of a gnat.What this has manifested into is an ability to happily have a lot of things on the go at once, and less helpfully, an astounding ability to half finish housework. She is the founder of Take My Hands, a social enterprise that is working to improve healthcare in the Asia Pacific Region, she is the Development Manager for the Achieving @ Waitakere Collective Impact Initiative which is focused on improving educational success for youth in West Auckland, and she runs her company the Playground Creative Project Management Ltd. She has a belief that sustainable social change is best achieved via true cross sector collaboration. There is a common thread across everything she does, and that is one of partnership and inclusion. Between her and her partner there are four boys, two girls and a first grandchild on the way. Sam was a founding member of Engineers Without Borders NZ, co-managing one of our first international projects. He later went on to the role of Executive Director and Board Chair. 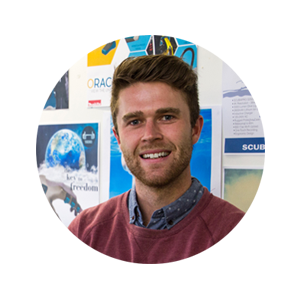 Sam studied Mechanical Engineering followed by a Masters of Engineering Management at the University of Canterbury, and is a passionate proponent for social and technical innovation and the positive impact that it can have on society both at home in New Zealand and around the world. Sam is currently CEO of Koti Technologies Limited, a nano-technology company developing photo-catalytic coatings to prevent disease transmission and purify air and water. Annah Stretton is the founder of the Annah Stretton fashion label, a successful New Zealand entrepreneur, author of seven books, and an in-demand public speaker. 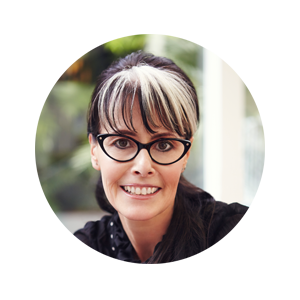 With a strong digital platform and 15 retail stores, her philanthropic efforts provide substantial support to a very wide range of charitable groups and organisations across New Zealand. She has also been the recipient of the coveted Veuve Clicquot business award, and has an Order of Merit for services to business, fashion and community. Annah also currently chairs the Waikato Women's Refuge governance board, and sits on the UNICEF NZ board. In 2013 she set up her own Foundation and formed RAW (Reclaim Another Woman), an organisation aiming to change the lives of socially disadvantaged women. 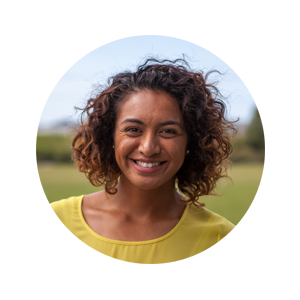 Nadeen completed a BE (Hons) in Chemical and Materials Engineering at The University of Auckland. After graduating she joined the 2013 cohort of the Teach First NZ programme, an innovative not-for-profit engaging NZ's young leaders in addressing educational inequality. She is currently the Health Science Academy Director, Tangaroa College. Passionate about raising the level of academic achievement amongst Pasifika students, Nadeen initiated study workshops in the Otara community. Understanding how central education is in achieving sustainability, she believes the Teach First NZ programme will not only condition her to impact young people within her community, but eventually many in developing nations.